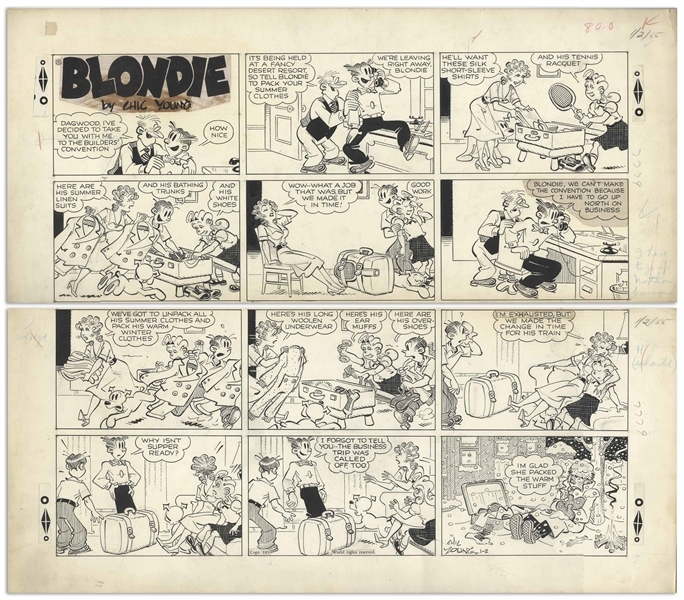 ''Blondie'' Sunday comic strip hand-drawn and signed by Chic Young published on 2 January 1955, featuring the Bumstead family and Mr. Dithers. 12-panel strip shows Blondie trying to help Dagwood, with her efforts going unappreciated until the last panel. 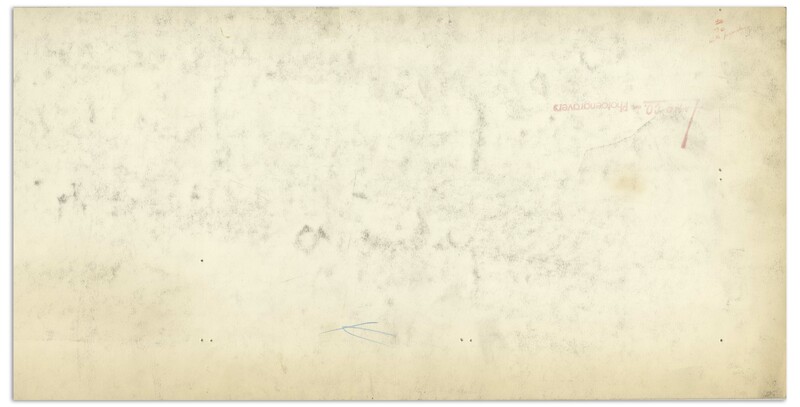 Strip measures 19.75'' x 17.25'', in two sections comprising the top and bottom halves. Missing part of the copyright label, else very good plus condition. From the Chic Young estate.